Bay High School was Rick Milam. either ran, jumped or threw something. He was able to maintain his schedule this season despite battling cancer. While he was on his way to that win, something else happened. 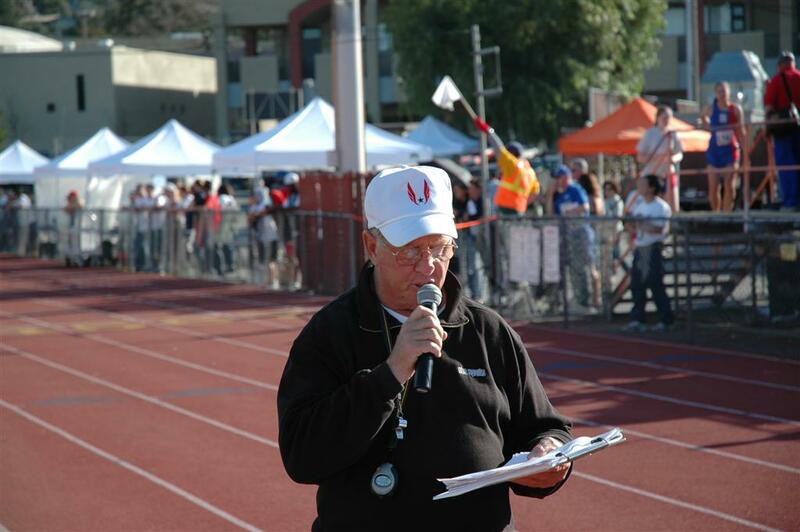 He helped with the announcing at CCS meets, as well as invitational meets. athletes. He got along with every coach, helping them if something came up. qualifying for the state meet, a week later. greeted her. As she smiled at him, he told her how proud he was of her. a little fatigued after the 3,200. He told her not to worry about it. when she won the CCS cross-country title twice. season a year earlier. It wasn¹t lost on Milam. learn of his battle with cancer. Milam maintained a positive attitude. "This is nothing," he responded. "I was a Marine." Both sports will go on. But it will be different not seeing Milam there. Milam won¹t be there to share in that celebration.